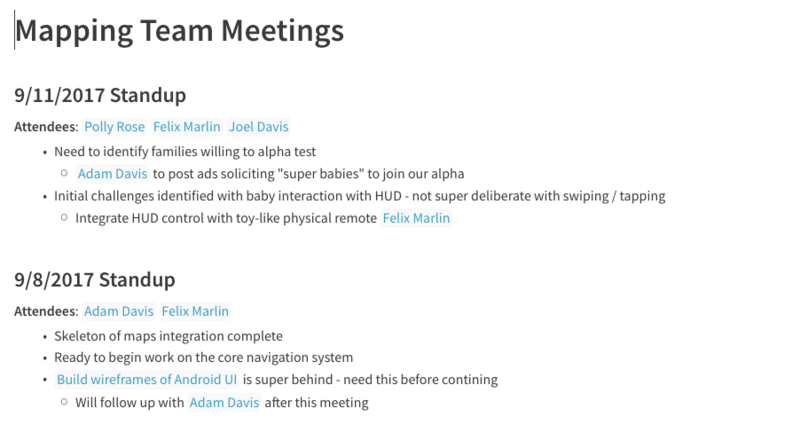 A Meetings Section to house a running list of meeting notes. This section acts as an introduction for any new team members or stakeholders. This is your chance to explain how to use the doc, and how it fits into your team's workflow. Having a master data folder is a great way to highlight the core of your doc - the table that runs it all. Section A - Teams and Tasks - This section should hold your core task table . You'll be pulling all your views from this table. Section B - Urgent Tasks - It can be helpful to highlight all of the urgent tasks in one space. Here you would create a view from the core table filtering by however you are depicting urgency. 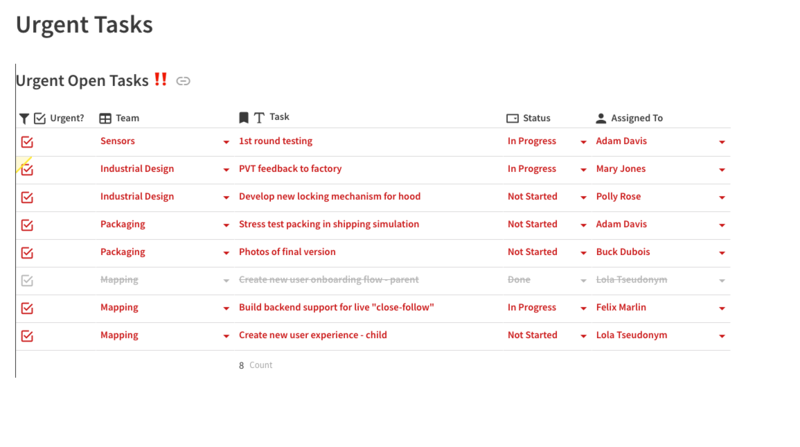 Keep in mind, this view could be anything - tasks by week, tasks by person, and the list goes on! Folder - Team/Phase - If your project is made up of multiple committees or phases, you can create folders for each of them to give people the freedom to work with your core data on their own terms while still keeping everything unified. 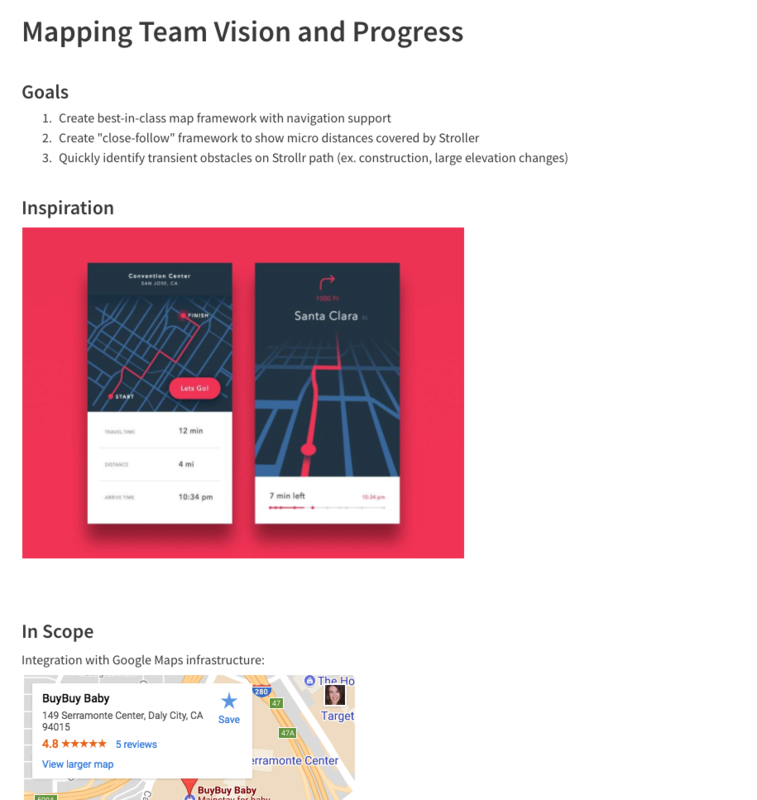 Team/Phase - Vision - Just like the core project vision, this section can act as the guidelines and information for the team or phase. 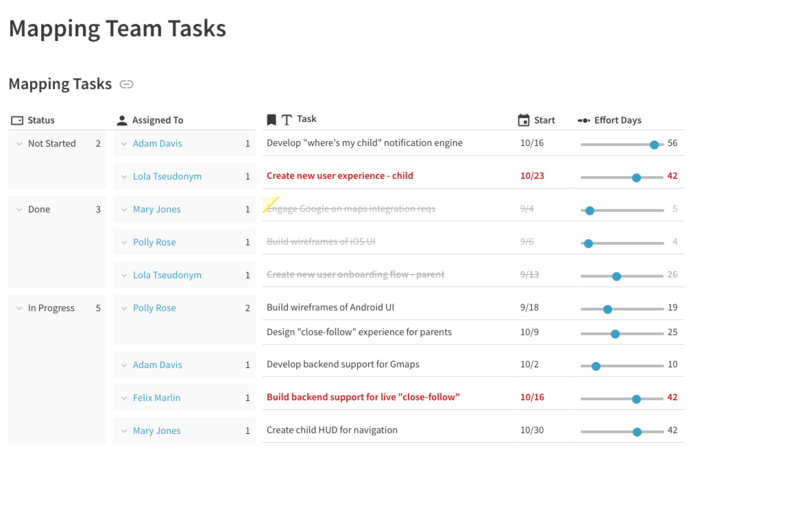 Team/Phase - Tasks - In this section, create a view filtered by tasks assigned to this team or phase. 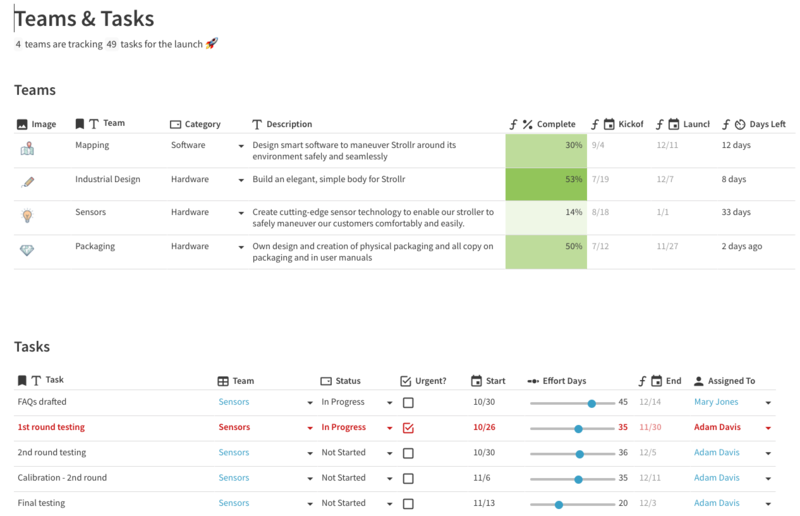 Then, the view can be customized based on the team's preferences. Team/Phase - Meetings - Everyone needs a place for meeting notes, and this section can act as a repository. Note, that you can stick with the basic text editing aspects of Coda, or build a table here as well. 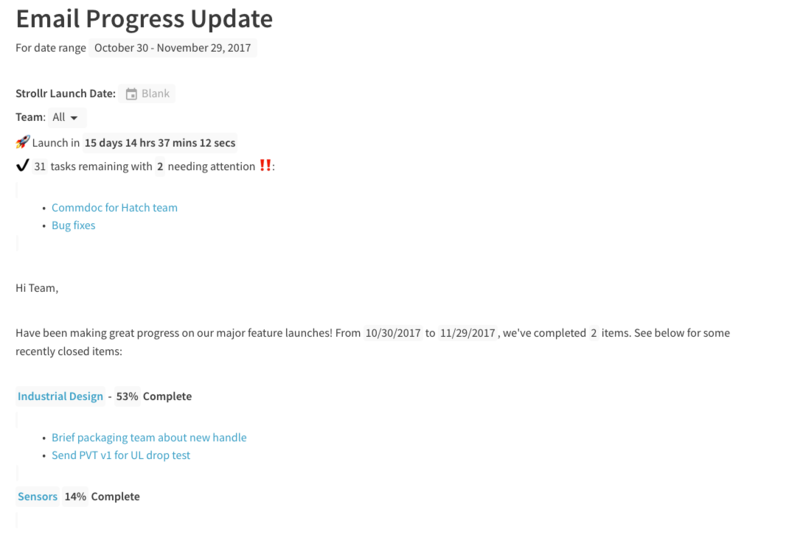 Inevitably, you'll need to share your progress and stats with people outside of your team. This section can act as your report out to the wider organization. You can even connect this to the Gmail Pack or Automations to handle this process automatically. Here, you'll use formulas to show what's been completed, what's incomplete, and any other data that's important for folks to know about. With this as the backbone of your tracker, you can then customize, add, and subtract based on your team's preference and style. 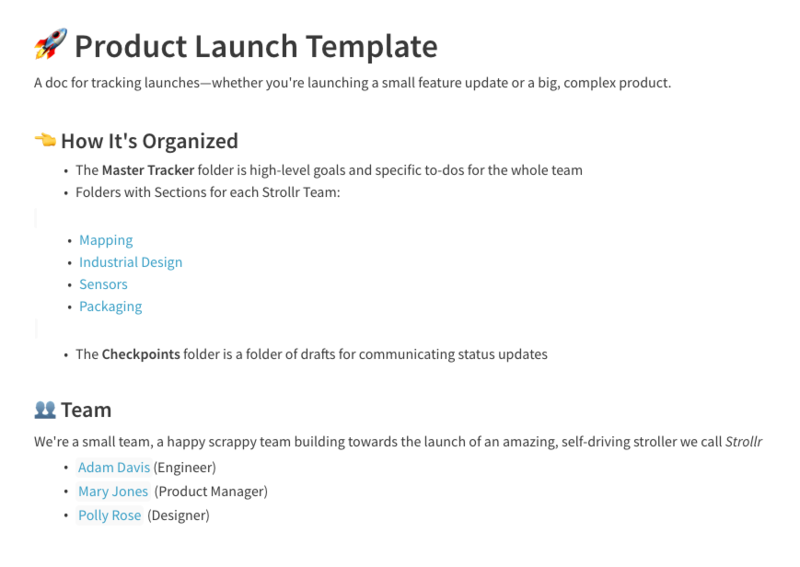 Remember, no one knows your team or workflow better than you - make it your own!